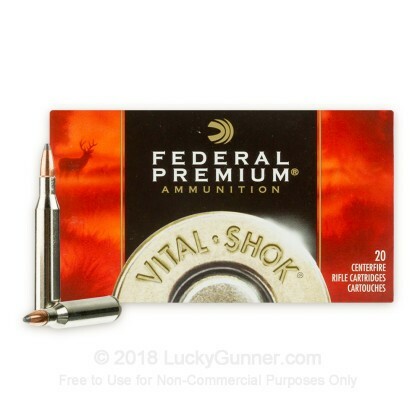 Federal Vital-Shok ammunition is a top-of-the-line choice for serious hunters. 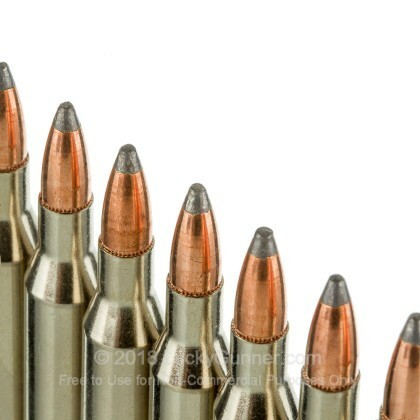 These 25-06 cartridges are loaded in boxer primed new brass cases that are re-loadable. The projectile is a 115 Grain Nosler Partition that leaves the barrel at 3,030 feet per second. Nosler Partition projectiles were one of the original high quality big game bullets. 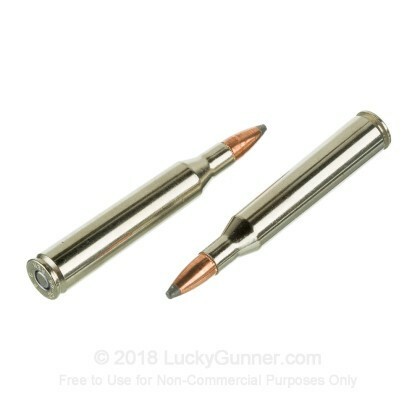 These bullets are designed for medium and large game. The top half of the partitioned projectile is engineered to instantly expand regardless of velocity. Due to a gradual taper in the copper jacket, the top half curls into a controlled mushroom every time. The bottom have of the bullet accounts for 2/3 of the overall weight and houses a lead alloy core. This core allows for excellent weight retention and provides deep penetration. Federal Premium ammunition is American made and loaded in Anoka, Minnesota. 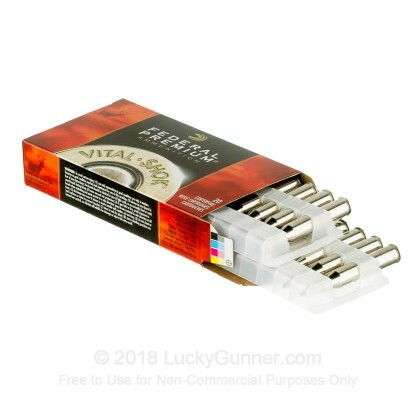 They are a member of the Vista Outdoor Group who owns several big name ammo manufacturers like CCI, Speer, Estate and others. You can buy these Vital-Shok rounds with confidence knowing that all the components are of the highest quality. According to Federal Premium, "Every shot counts." 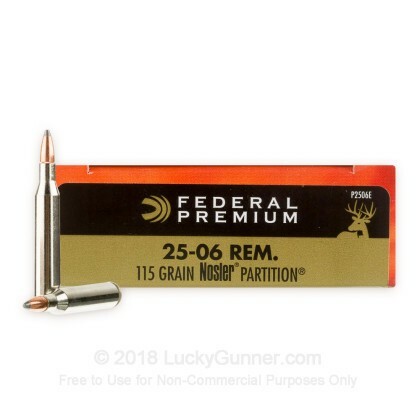 We don't have any reviews yet for this particular .25-06 ammo from Federal. 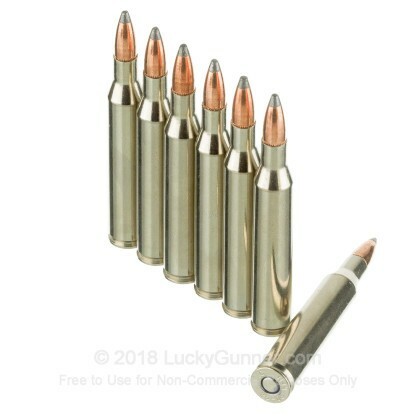 If you'd like to be the first to review this particular .25-06 ammo from Federal, fill out the form below.